Oh my goodness, something wonderful has happened. Will Hughes, an amazing Voice Over artist, has produced a narrated excerpt of my book SINCE ALL IS PASSING. It gives me shivers just to listen to it. 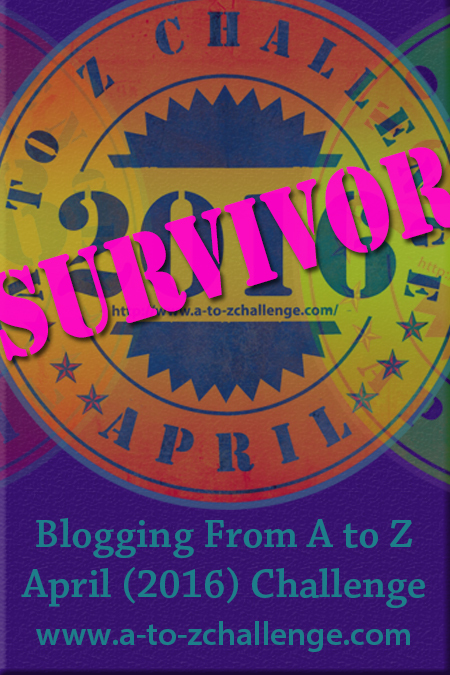 The A-Z Blog Challenge is over at last, and I made it through. Yay! It was difficult, but I enjoyed it. Bringing Tarot cards together with the writing process made me think harder about not only my writing, but also the meaning(s) of the cards and how they could relate to my writing. 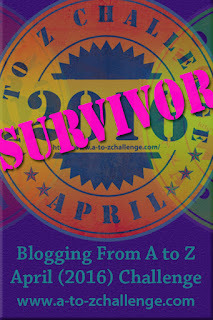 I hope everyone who checked out one, a few or all of my A-Z entries enjoyed them. Also, I'd like to thank Kate at Aeclectic Tarot for graciously allowing me to use card images from her wonderful site. Please check out Aeclectic Tarot and tell Kate I sent you! Please help me welcome Guy Ogan, author of IMMORTAL RELATIONS COMING OUT. Blurb: IMMORTAL RELATIONS COMING OUT, third in the series by G. D. Ogan, continues to rock the foundation upon which typical vampire novels are based. Such stories, where vampires safeguard humans, are rare indeed. These vampires do their utmost to save humans and animals from not only evil vampires, but evil humans. 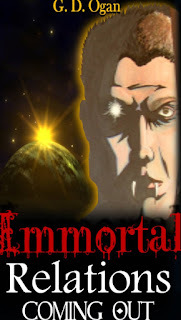 Ogan's insights into the powers of the immortal vampires, along with fresh takes on the complex inner workings of their existence, provide an intriguing experience for readers. In this story, a novice shape-shifter wolf meets a beautiful hybrid vampire. Good vampires set up a new coven in Southern Canada to monitor a regime intent on changing America into a dictatorship. Marxist thugs, not realizing who they are dealing with, still believe the group was partly responsible for the defeat of Communists intent on stealing oil, gold and mineral reserves from Russia; so, Washington retaliates with violence. A great deal of effort is required by the vampires to keep Canadian citizens safe. There is a vampire wedding with a handsome human; then, dangers from outer-space suddenly appear to threaten the entire earth. Can such threats be stopped? A reader of IMMORTAL RELATIONS COMING OUT said: "Being a bit of a vampire-phile, I find myself constantly searching for the next vampire series to reach out and grab, or, more appropriately, bite me. I believe I have found my holy grail of vampire novels..."
Excerpt: Vlad Dracula is talking with one of his newest vampire friends, Gary Logan. Vlad has explained how he and other of the oldest vampires have progressed to the point where they need little if any blood. Gary has asked why the out-of-control vampires continue to attack humans. Vlad smiled and nodded slowly, "It was a very, very long time ago Gary. We were fighting what you would call 'an asymmetrical war' against Sultan Mehmet the Conqueror and his Muslim invaders who outnumbered us at least three to one. I was looking for anything to slow them down. I guess you would say I used psychological warfare by building the 'forest' of impaled enemy soldiers we had defeated in previous battles. While we had numerous successes against units of the invaders we unfortunately were unable to hold off so large an invading army. It was about this time I was changed into what I am today. I was always in the front lines of battle and routinely soaked in blood. Perhaps that is what changed me into a vampire. One of my own Generals saw me surrounded by enemies and saw blood spurting up in the air. Thinking it was my blood he sent word that I'd been killed. My dear wife was distraught and threw herself from the heights of our Poenari Castle into the Arges River below.